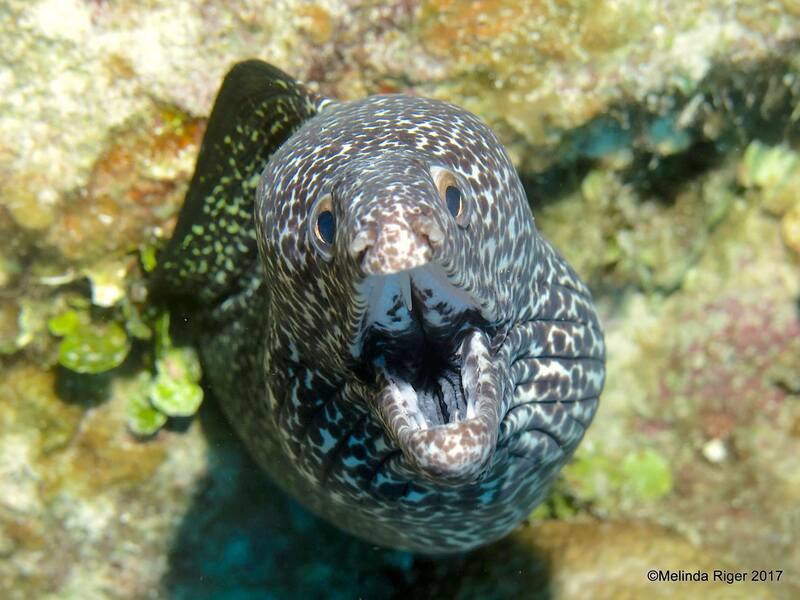 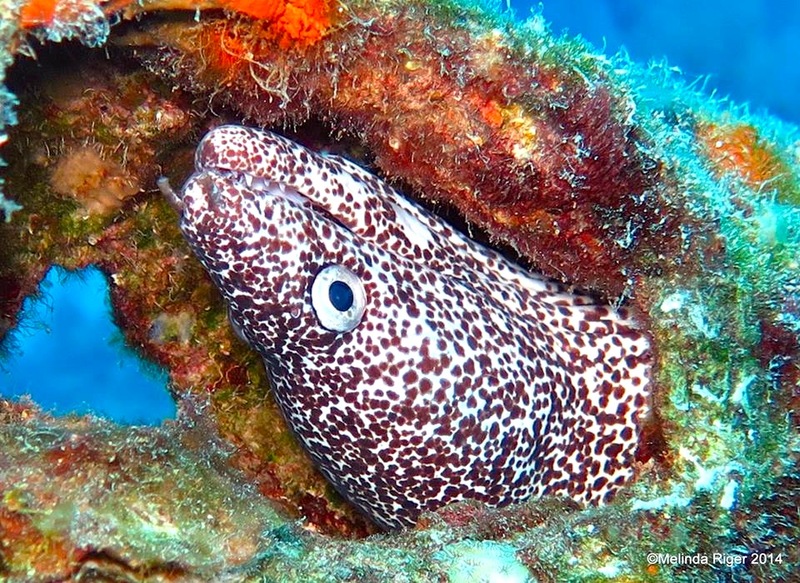 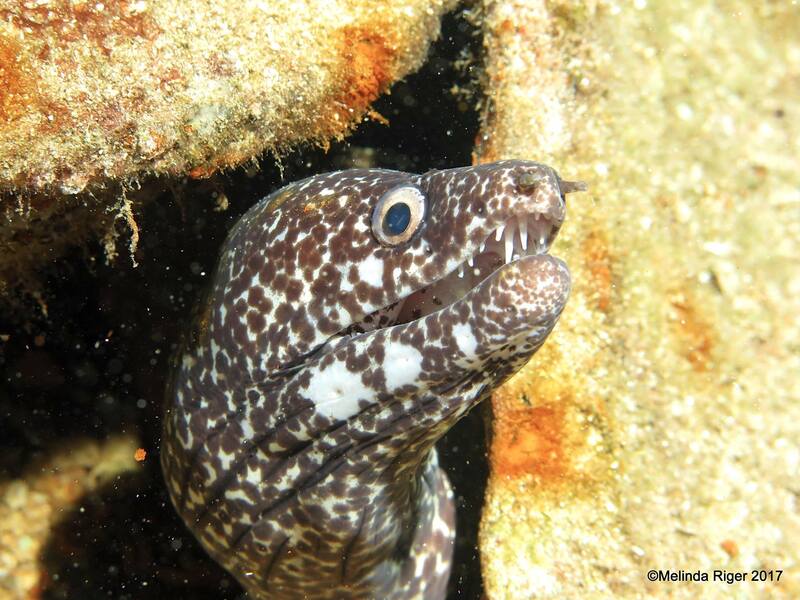 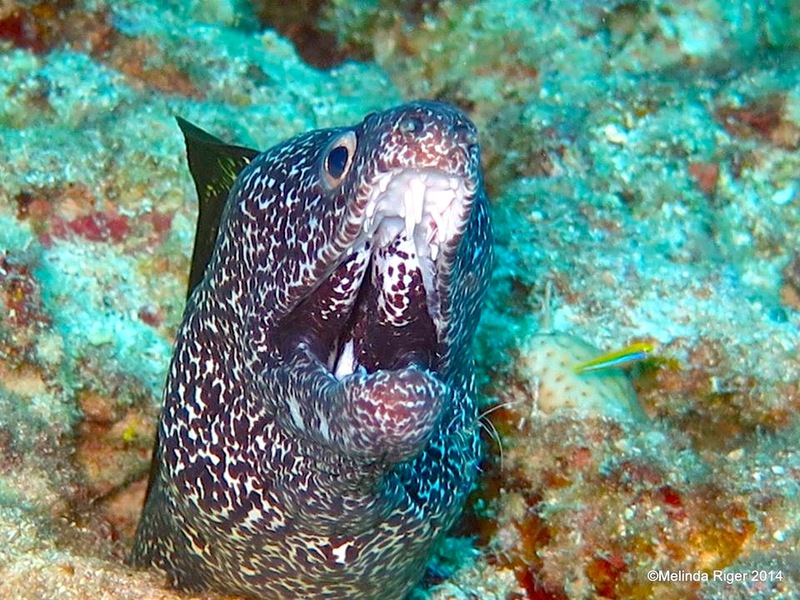 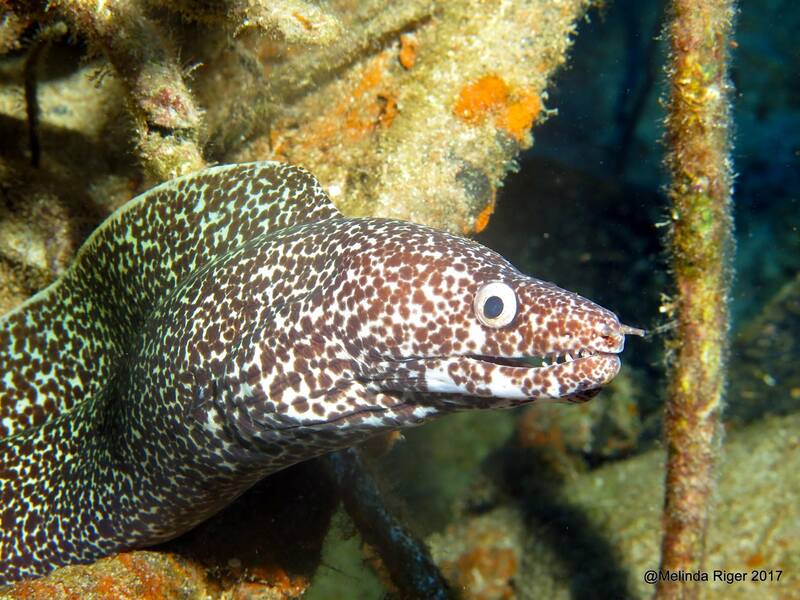 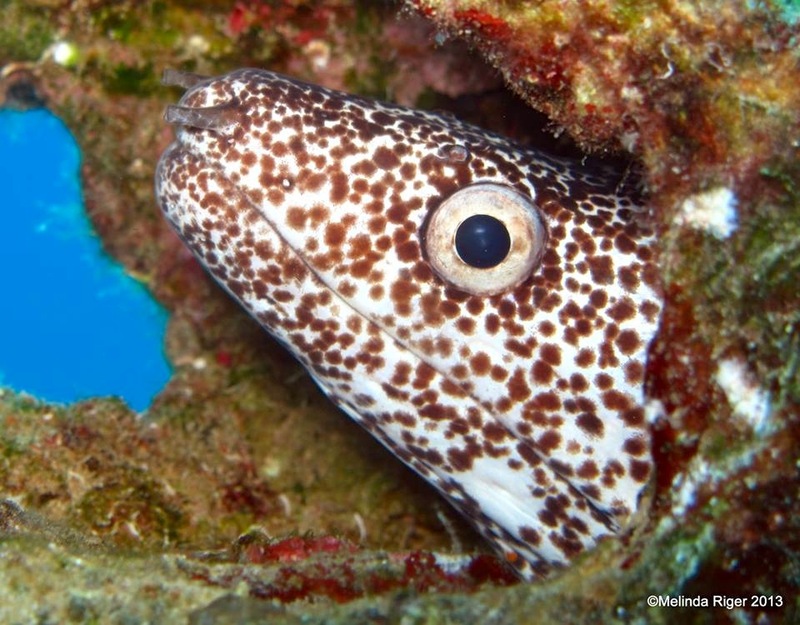 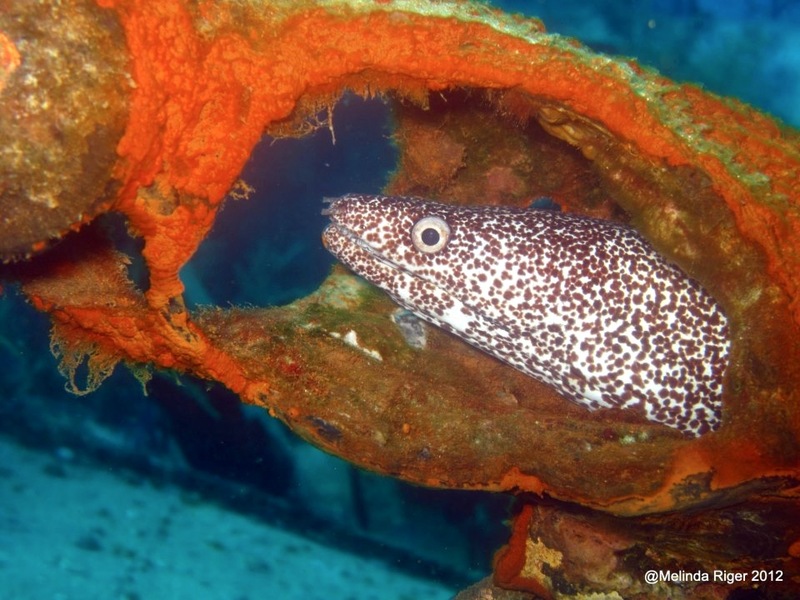 Spotted Moray eels Gymnothorax moringa, however, seem to have their own rules to live by. 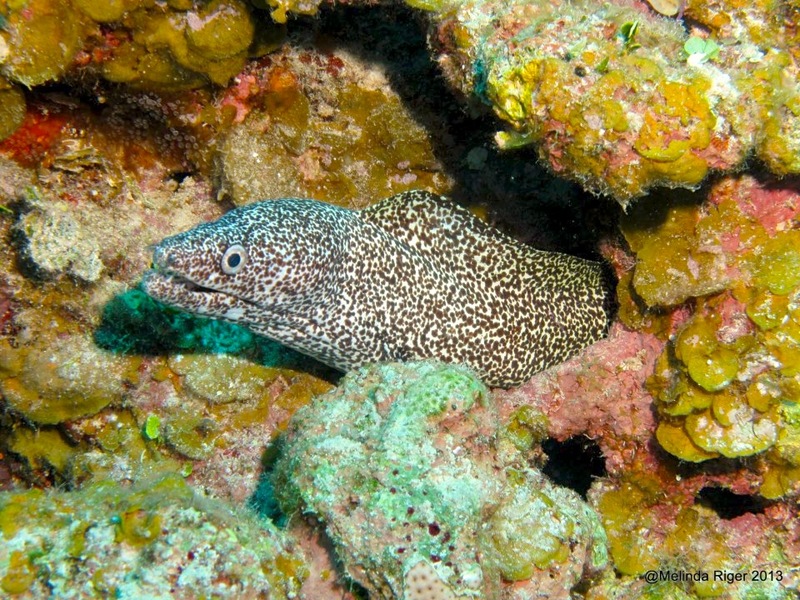 They appear to be open-minded and fairly sensible creatures around the reef. 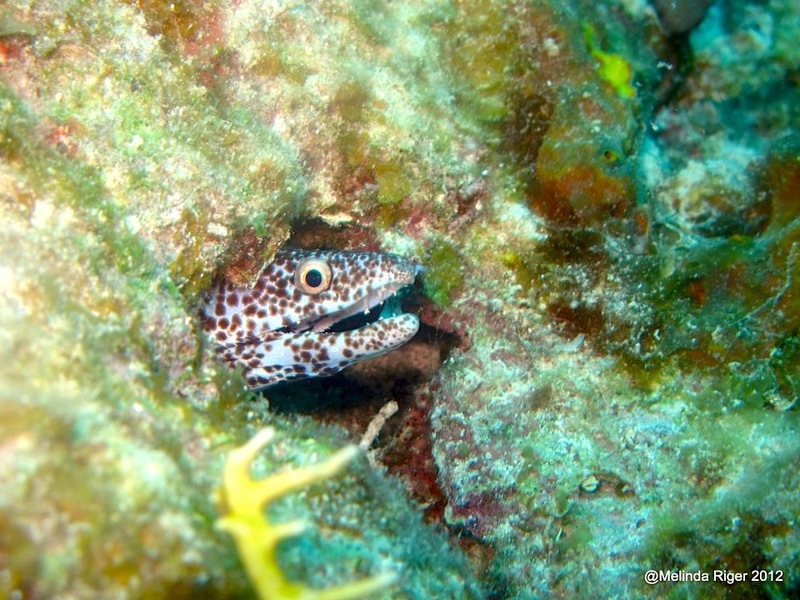 They tend to keep themselves to themselves, hanging out unassumingly in holes and crevices in the coral. 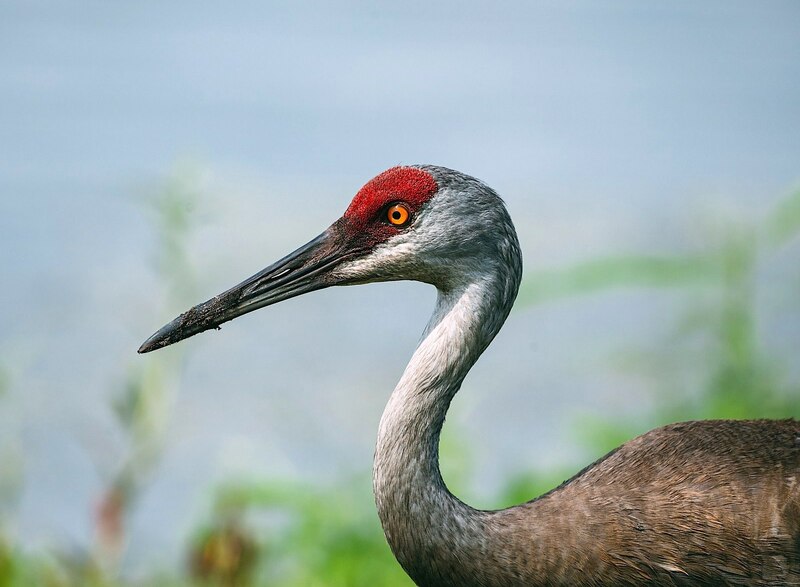 They do tend to stick their necks out a bit, but unless provoked (see below) they seem to be reasonably amiable (except maybe to the small fish and crustaceans that make up their diet). 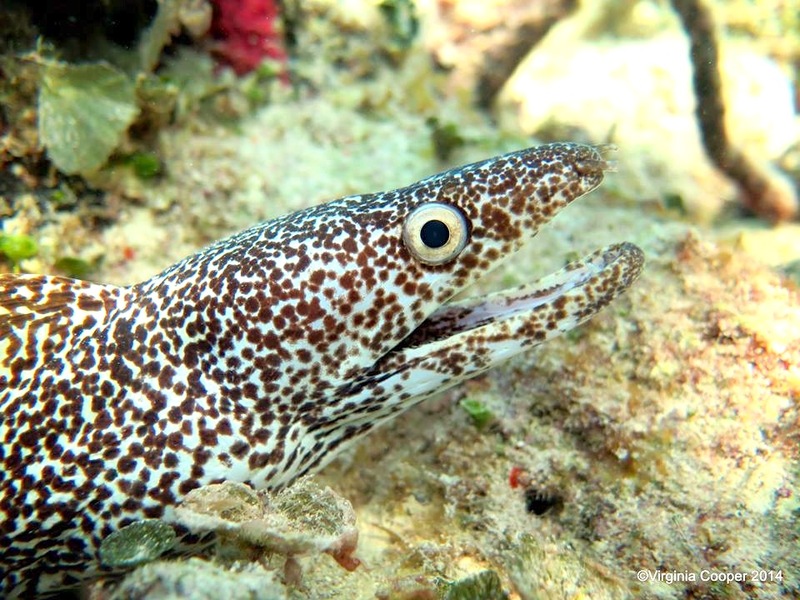 Apart from the unpleasant bite and associated pain that moray eels can inflict in defence, they are also poisonous (as opposed to venomous). 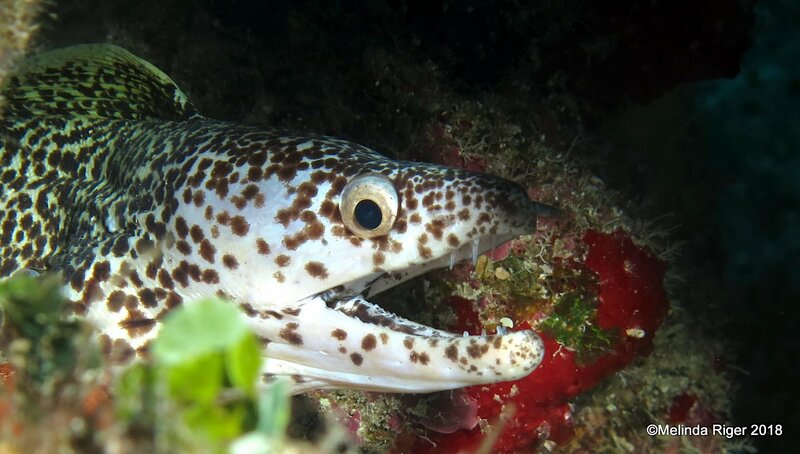 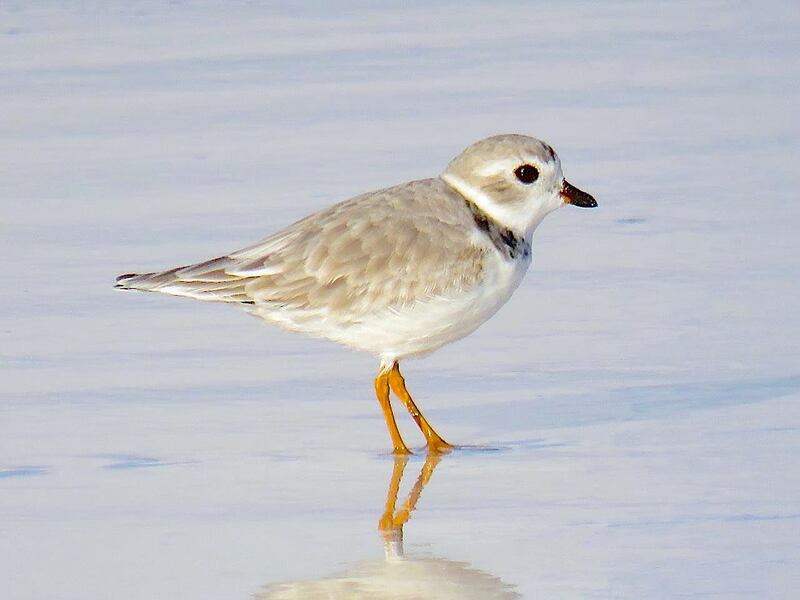 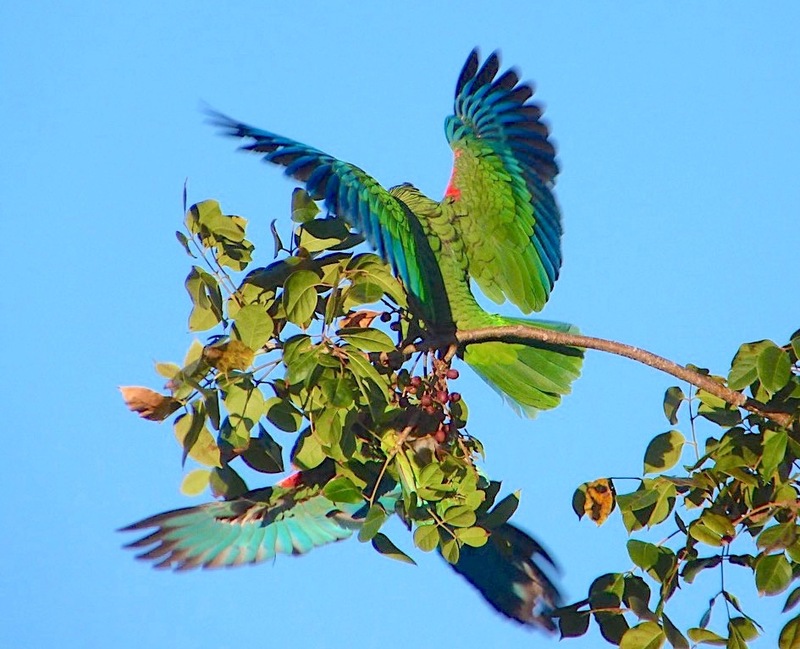 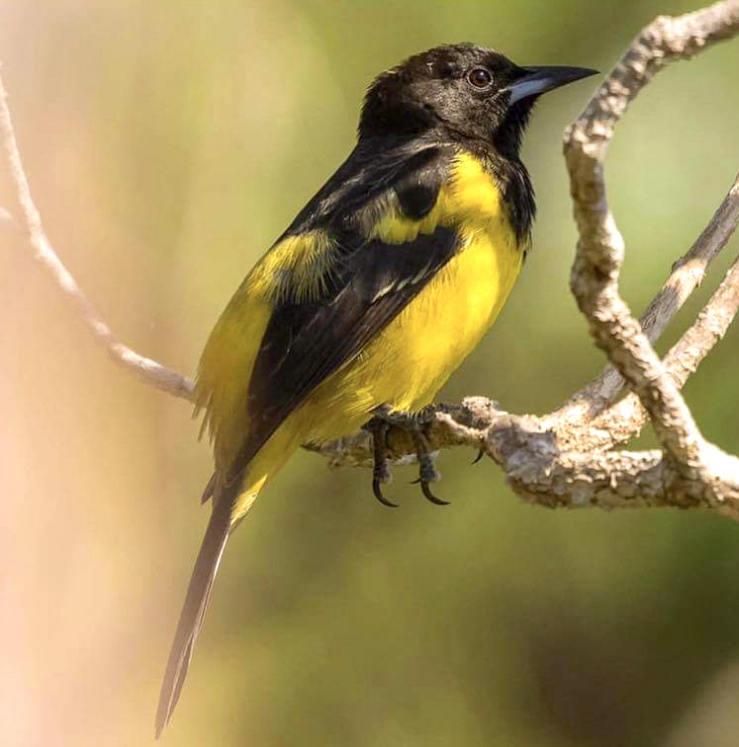 Specifically they can release toxins into the wound; and in some species their skin contains toxins as well**. 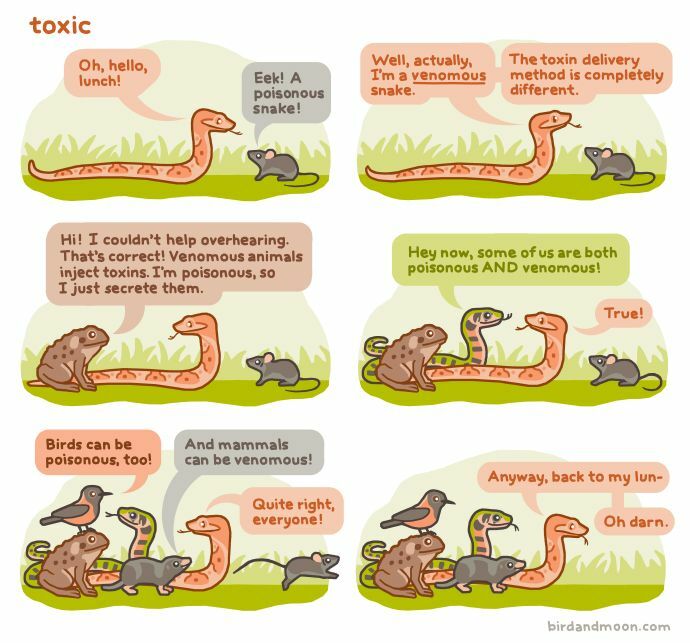 Serious infection may result. 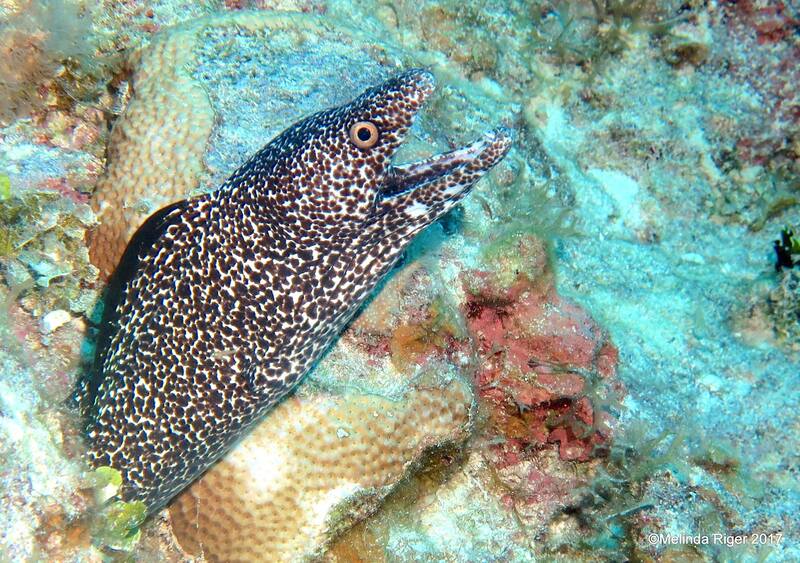 I’ve been neglecting the moray eels. 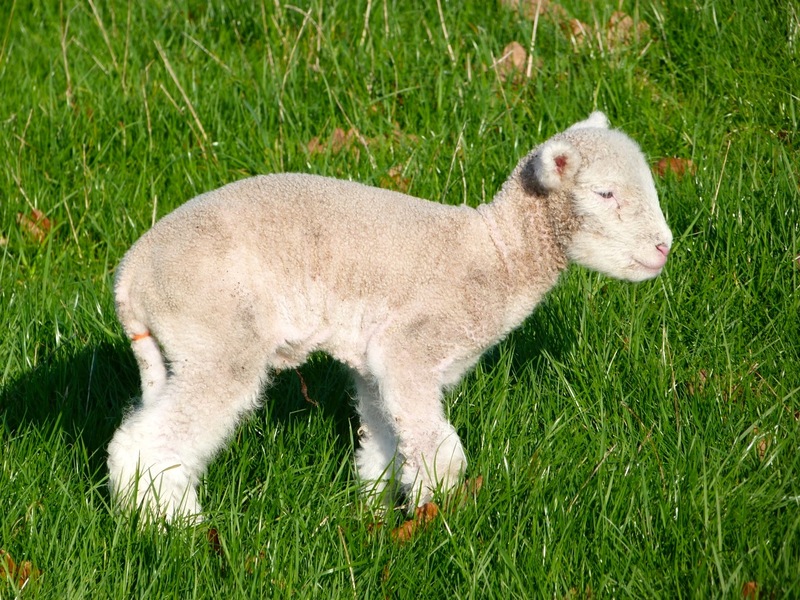 It’s ages since I did a post about them, and it’s time to put that right. 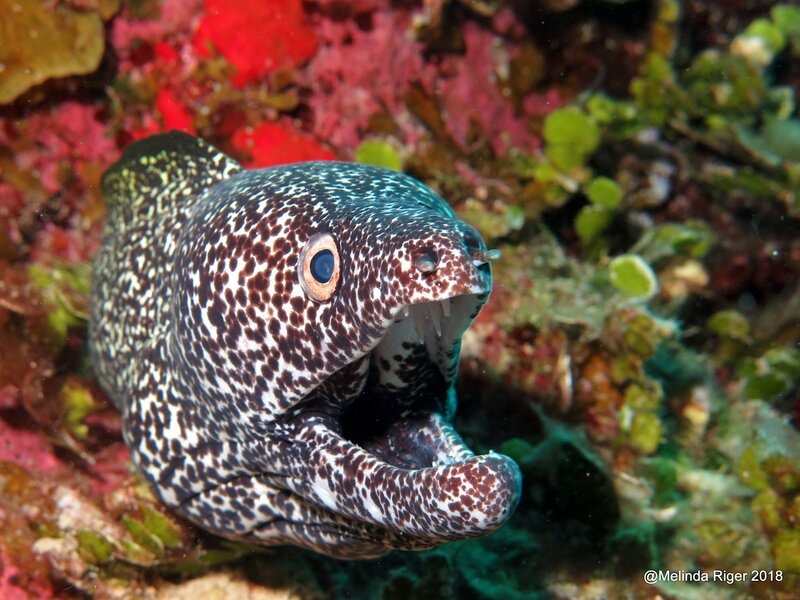 Specifically, time to take a look at Spotted Morays Gymnothorax moringa. 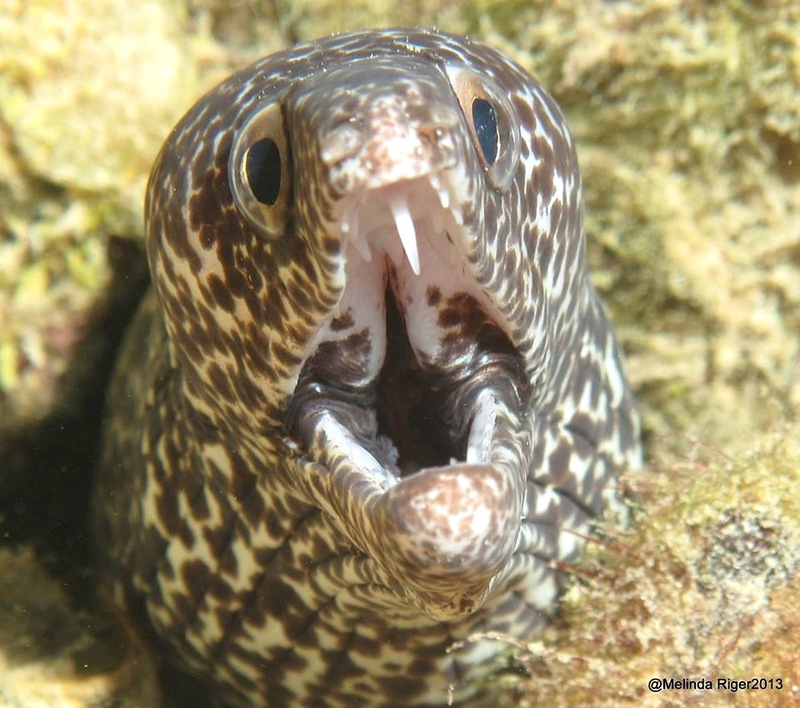 These eels can grow up to 2 meters, and live mainly in the sub-tropical waters of the Atlantic. 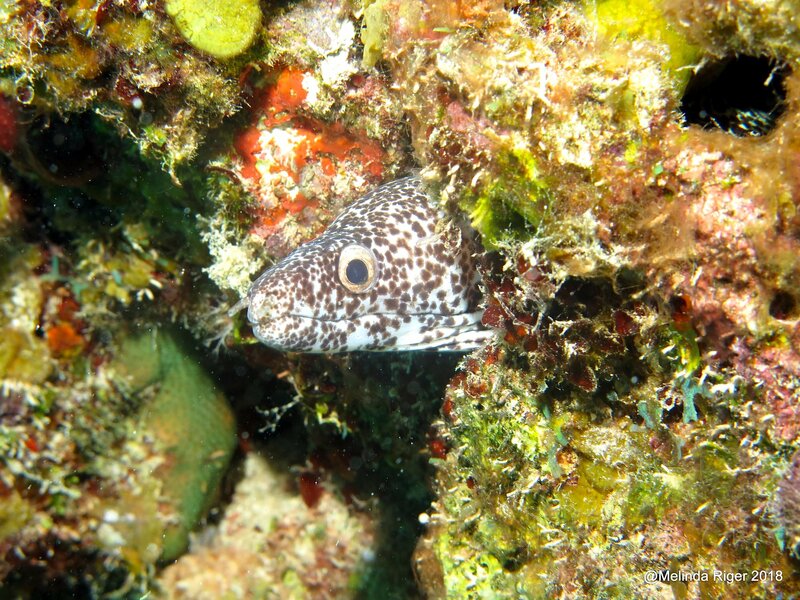 They are solitary creatures, most often seen with just their heads protruding from holes and fissures reefs and r0cks. 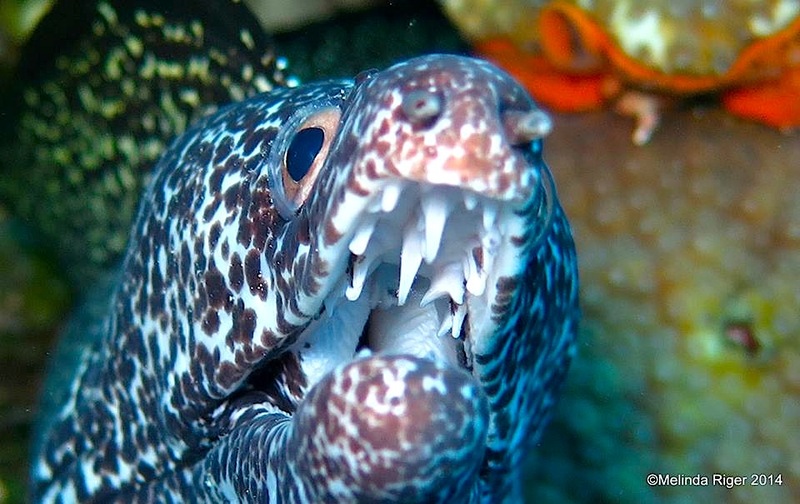 They have interesting dental arrangements (see below) and their bite is one that, all things being equal, is probably best avoided… Here’s what to look for. 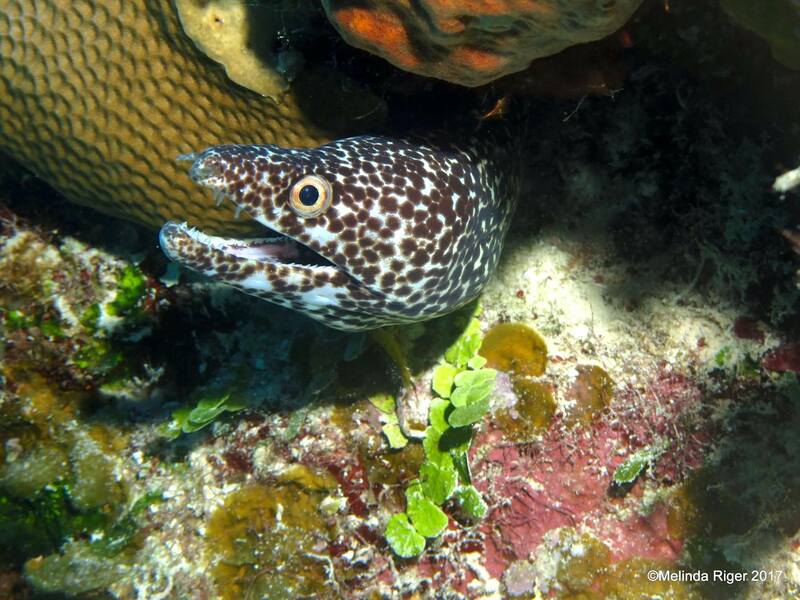 Photo credits: all amazing photos courtesy of Melinda Riger of Grand Bahama Scuba; Props to ‘Earl the Eel’ who appears in some of them!